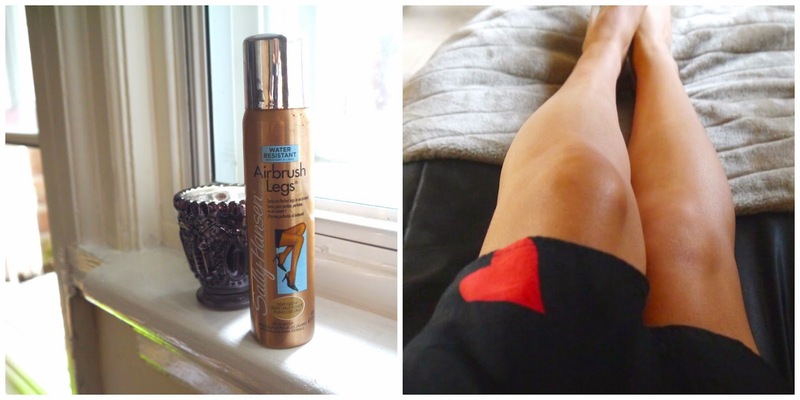 The Sally Hansen ‘Air Brush Legs’ formula is a secret that isn’t well known amongst my friendship group which is odd as we are a bunch of fake tan fiends however, in the beauty community I am exceptionally late on the bandwagon. I bought the spray on ‘perfect legs’ formula for £5.99 which for 75ml of product isn’t a complete bargain but it is well worth the price tag. The product itself is essentially body foundation which aims to cover up imperfections, veins, blotches and freckles. I apply the formula with gloves as it can stain the palms of your hands. The consistency is a thick, foundation-like substance that is sprayed onto the legs and then rubbed in. It takes a bit of work to blend but once blended and set the results are amazing, your legs look perfect and the product gives the illusion of wearing tights. Normal fake tan tends to not take very well on my calves and the backs of my thighs so I like to use the Air Brush legs to even out my fake tan and keep my legs looking flawless when wearing shorts, a dress or a skirt.